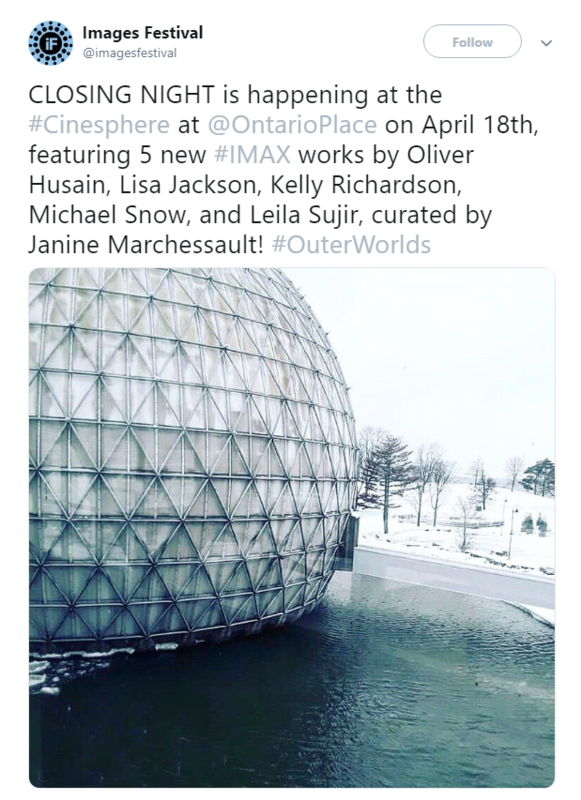 This program presents five original IMAX commissions, giving artists a unique opportunity to experiment with the large screen format. In keeping with the cinematic genre typical of IMAX films—the larger-than-life landscape that forms an outer world beyond the limits of the human sensorium—each of the films explores expanded cinema through different ecologies of the non-human: the forest, lichen, snails, water, and sky. The works propose different worlds of experience and distinct grammars of immersion through a meeting with the camera. The invited artists in this program, Oliver Husain, Lisa Jackson, Kelly Richardson, Michael Snow, and Leila Sujir, imagine common worlds by reflecting upon the exigencies of intercultural and interspecies communication. This task has taken on great urgency in the 21st century as we grapple with how to adapt to the ecological realities brought about by anthropogenic climate change.